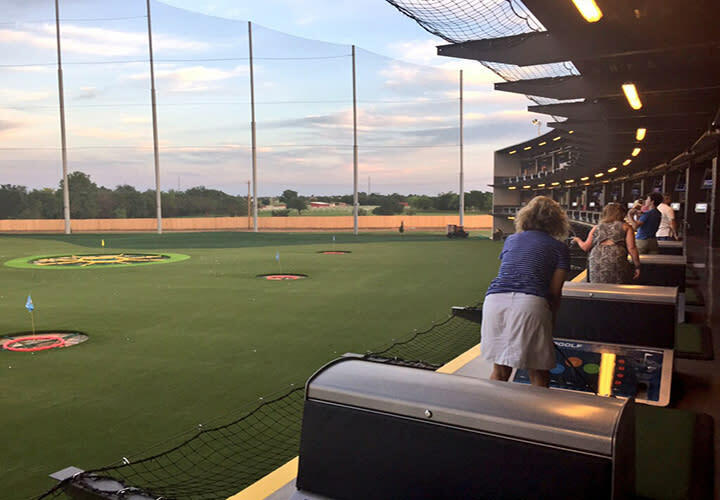 Top Golf OKC Opens Just in Time for Dad! Northwest Oklahoma City has really become quite the destination with everything a visitor (and local) could ever want. From shopping galore to entertainment and dining, this is one area of the city that could keep you busy your entire stay. And with all of the new development this year, one place you can’t miss is Topgolf--- OKC’s best-in-class entertainment facility of all things golf, dining, fun…and even event space. With their grand opening happening today, Topgolf is also the perfect place to take Dad for his big weekend, too! Lucky for me, our staff got to test out the tallest driving range in OKC before the opening and we can’t wait to show it off to you! First things first, Topgolf is for everyone. You don’t have to have qualified for the masters to play nor do you have to be good at mini-golf or have even picked up a golf club before. Topgolf is flat-out fun at any age, skill level or time of year. Its drinks with your friends, a Sunday tee-time, an evening out with the kids or the best date you ever had-all rolled into one. 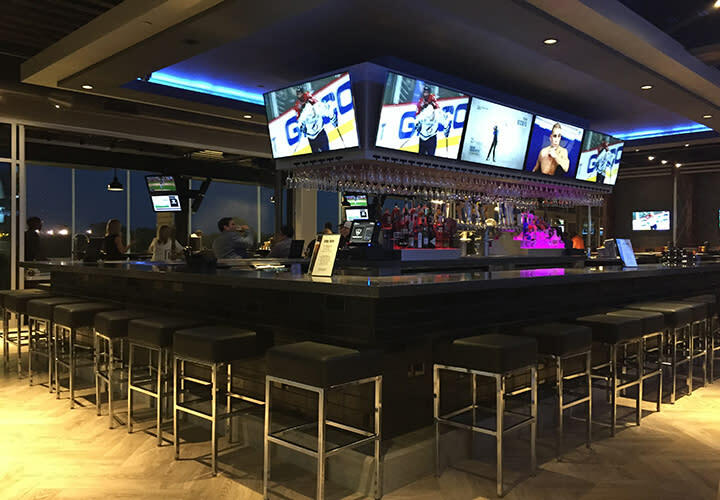 When you walk into Topgolf, you’re greeted with a sleek design, a bar big enough for plenty of people to have a good time and friendly, helpful staff. There’s 100+ bay’s on three floors with misting fans to keep you cool in the summer months, tables and comfy couches for dining on their full menu of food and drinks and high-tech features getting you ready to aim for the variety of larger-than-life-sized dartboards for your golf ball to score. For a little friendly rivalry, the golf balls are micro-chipped and instantly keep score as well as tally up the distance and accuracy of your shot. When night hits, the holes on the range light up neon flashing colors and the music keeps the competition fun. The best part, you can play to your hearts content. Just swipe your card to keep the game going for fun all day or night. While you’re there, make sure to try out some of Topgolf’s food. Their signature Mushi is an ultimate creation of Mexican sushi. Cilantro sticky rice, drunken beans, spiced chicken and cheddar cheese rolled in a jalapeno tortilla with a side of sour cream, avocado and sriracha hot sauce is a perfect starter for you and your friends. It’s not too spicy and easily edible while holding your club in one hand. For something light, try the Spinach & Goat Cheese Salad---which was my favorite! Or, you can’t go wrong with their Chicken and Waffles with jalapeno gravy or even their smoked chicken tacos which are made in-house daily. The tortillas were super crispy and the tacos were topped with craft beer slaw. 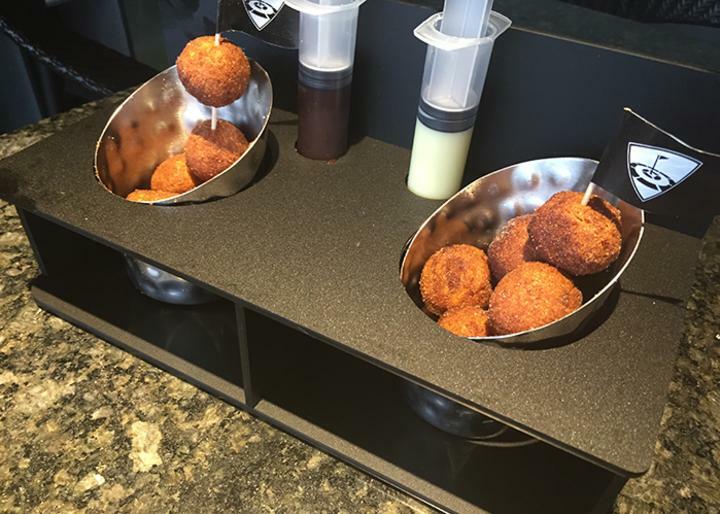 Finally, finish off with something sweet—their injectable donut holes. Your choice of chocolate, raspberry jelly or Bavarian cream, you’ll get 24 donut holes for the entire group to fight over because they might be just as good as my Tiger Wood’s game of golf. Before you go, know that they have golf clubs for you or you can bring your own. Also, you must be ready to have a good time…because it’s still funny to watch your friends swing and miss or swing and score. Either way- Topgolf invites anyone and everyone out for a good time.